Are the wheels you sell chrome? No. High intensity forged alloys like bonspeed’s are made of the very finest 6061 T6 aluminum. A high intensity forged wheel is better than a cast or a basic billet machined wheel. The forging process compacts the metal and makes for a chrome-like shine. If you are concerned with maintenance then ask about our clear powder coating process. Does bonspeed have wheels in stock? No. High intensity forged alloys like bonspeed’s are custom built to order. They are custom tailored to your car and your exact needs, making this the best choice for a custom ride. What size wheels does bonspeed manufacture? Most bonspeed wheels are available in 17” to 26” sizes. However, certain styles may only be available in limited sizes due to manufacturing contraints. Click on each style to see the available sizes. Can I order staggered or custom offsets? Yes! Since bonspeed wheels are made-to-order, we can offer you a wide variety of offsets for your custom application. I don’t know how to measure my car for backspacing? Can bonspeed help? We are ready to help you with your custom fitment. Our hands-on experience in building hot rods, sport trucks, pro-touring and street machines ensures you the best assistance. I am not sure how to measure my car for wheels? bonspeed has specialized templates that will show you exactly what to measure. 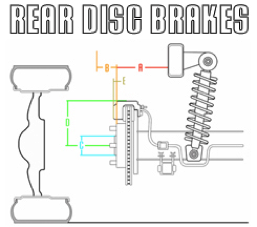 We have fitments for both disc and drum brake applications. You can download the template right here. Can I order my wheels powder coated? bonspeed set the trends with its exclusive Color Forged© powder coating program. Let us know the color an we can help you out, but, remember paints and powder coatings have different shades. I really like the high polish look, but do I always have to polish them? No! 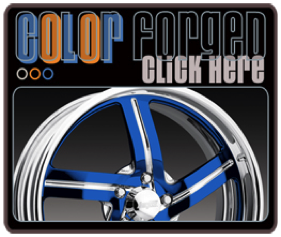 We now offer a clear powder coating for the centers of your wheels that locks in that brilliant show polish shine so you never have to polish your wheels! Make sure to ask your sales rep about adding this to your order. Where can I purchase bonspeed wheels? We can always direct you to a dealer thats close to you. If we dont have a dealer near you, we will always be happy to sell to you directly. So give us a call and we will get you what you need. I ordered wheels from a dealer and I want to know if they are ready yet? If you ordered from a dealer, please contact them for shipping information. Remember, we do not have your information and most dealers are ordering for many different customers. bonspeed wheels are custom made to order and most orders take from 4-6 weeks (Peak times of the year and special orders can take longer). I was told that Michael Anthony from Van Halen and Chickenfoot was one of the owners of bonspeed! Can he play at my birthday party? Yes, Michael is an owner and he is also a car fanatic! Playing your party.....well, we have not asked but who knows? I don’t have a muscle car, do you have a wheel for me too? 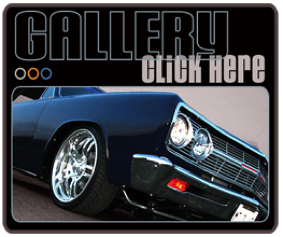 Challenge us and we are confident that we can fit just about any hot rod, truck, exotic, custom or muscle car. Can I order a custom style wheel design for my car? bonspeed does offer a special order program from our custom shop. There will be a programming fee and each wheel is priced according to the time and materials used. We may not be able to accomodate all requests and remember that the cost and production time increases greatly for custom shop orders. I heard bonspeed makes more than wheels? Is that true? 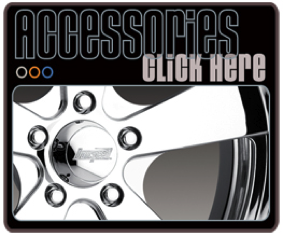 Yes, bonspeed manufacturers apparel, garage gear, car covers, gauges and watches. Visit bonspeed.com for your direct link to all things bonspeed! I still have a question!? Who can I contact? Buying a set of bonspeed “High Intensity Forged Alloys” is an investment. We know our wheels may cost a little more, but they're worth it and we stand behind every set of bonspeed Wheels that leave our factory. We want to make sure that your purchase comes with peace of mind and we encourage you to read the entire warranty. Are you building your car yourself? Not sure how to figure out the correct size wheel for your vehicle? 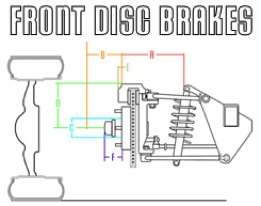 Our fitment worksheets are here to help. 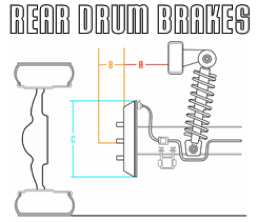 Click the link below that applies to your car, truck or suv’s brake package and download your own worksheet to help you through the process. Its quick and easy to use. If you still have any questions, our tech department is only a phone call away!